Enhance your outdoor living with stylish pool and patio shade solutions. Stay cool and comfortable, while relaxing on your patio. 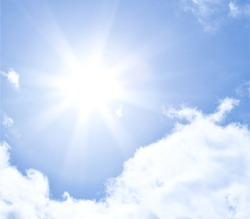 Protect your family and friends from the sun’s harmful UV rays. Comfortably enjoy the outdoors at home. Do you want to spend more time enjoying your outdoor space without the sun beating down on you? 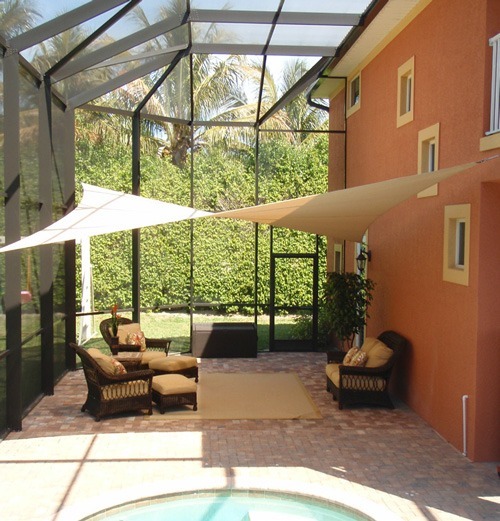 At Apollo Sunguard, we’re happy to offer residential pool and patio shade solutions. 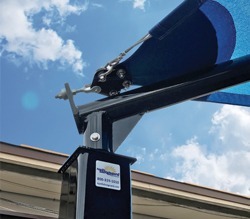 With several different mounting options, applications for our sails around your home and yard are limitless. 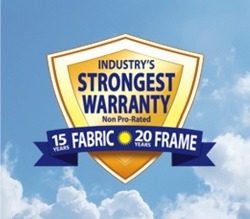 Made from the same materials as our commercial line and backed by a 15-year warranty, our custom sails will make the perfect addition to your home! We offer 17 different fabric colors, with many blocking more than 93% of the sun’s UV rays, as recommended by the American Academy of Dermatology.  Not only will our shades protect you and your family from the dangerous sun, which can cause skin cancer and premature aging, but they’ll also keep you cool. Underneath our durable fabrics, temperatures can drop by up to 20 degrees. Best of all, our fabric requires little maintenance. It’s made of ultra-strong polyethylene thread with added UV protection, which is engineered to stand up to the elements. Our fabric is designed to mimic the natural shade of trees, allowing air to flow through and enhancing your outdoor experience. 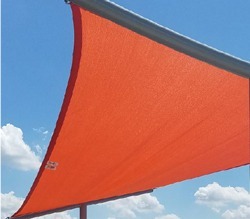 Of all shade providers, we’re also proud to offer the only standard quick release system, which will allow you to unhook your fabric with no special tools.